I am an aspiring hip hop artist. 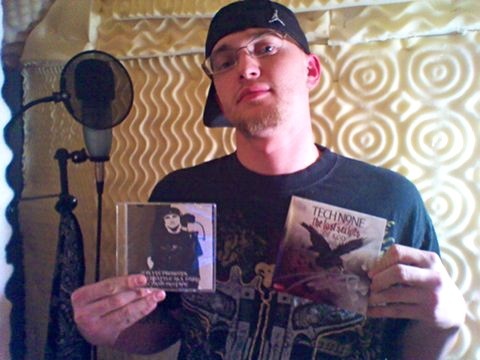 I first heard Techs music in 2006 and it blew my mind! This was right before the release of Everready and the first song I heard was “Imma Tell”. I’ll admit that, back then, my music had little direction. But Tech changed all that. When I heard the way he spoke about his life from the heart it inspired me to just let go and do what felt right rather than trying to make hit songs. And I’m proud to say that from that point on my music has improved steadily, my fan base has grown and the ppl love it! In fact, my most recent mixtape did 1632 downloads in 24 hours on just one site! Thats an achievement to me. So I just wanna thank Tech for the profound effect he has had on my musical development and on my life. I’ve got songs for every mood from Tech and Strange. Tech, Kaliko, Kutt, all of Strange are incredibly talented artists and truly worthy of the spotlight! Thank u Tech and Strange for being the breath of fresh air this hip hop thing needs! How has Tech and his music inspired you? Send your story to fans@strangemusicinc.com!